I can't say no to some modern cottage inspiration (especially on a hectic Monday morning like today), so here it goes. This is a bright, well-attained country house in Bridgehampton, that contains all those details we love to love at My Paradissi. It is the ample daylight and the all green surroundings to begin with, the sleek back details that coexist beautifully with more textured elements like rattan, rough woods and soft linens, the industrial fixtures here and there and the spacious arrangement of the furnitures that really make this place livable and user-friendly. 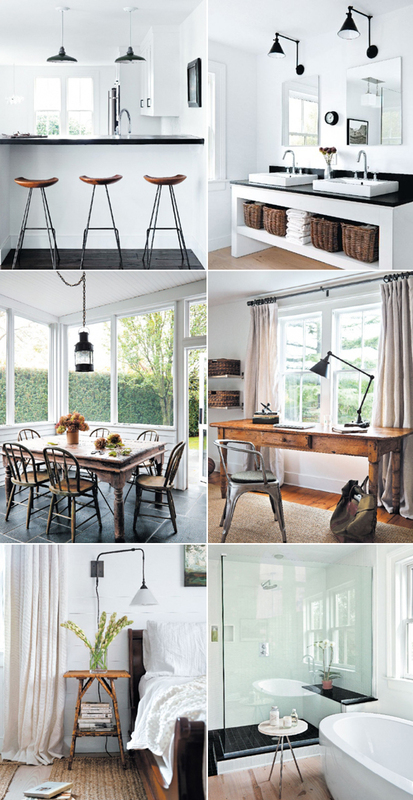 I particularly love the vintage desk with the iron tolix chair and the stark but chic b&w bathroom sinks. Images by Trevor Tondro via Cottages & Gardens. 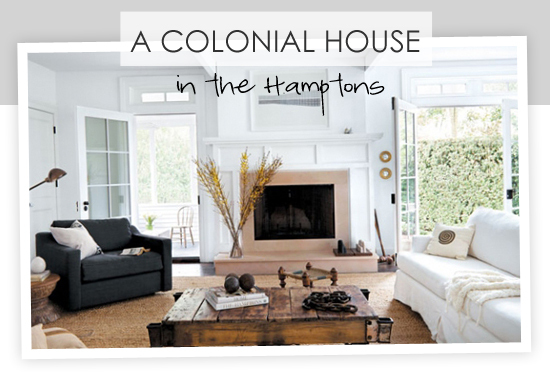 5 comments on "A colonial house in the Hamptons"
I love the kitchen's ''bar'' and the old desk!The bathroom is one of my favourites! I love the bathroom. It is a French Bordeaux modern concept. I would like to feature your picture for my post: bathroom vanities. With all due credits. I love this colonial house. It's like a combination of shabby chic and modern design. Everything in this house looks beautiful. Now, this made me decide that I'm definitely picking out white paint for our new house. I like the simplicity and elegance of the entire house but most especially the vanity unit with the simple mirror.